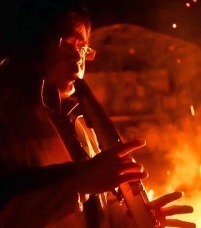 Not many people know the instrument EWI (AKAI Electric Wind Instrument). the early type of wind synthesizer consisted of two parts: a wind controller and a synthesizer in a rackmount box. But AKAI released the first combined type as EWI4000S in 2004. So you can play it even in the field or train with a headphone. EWI is much easier to play than you may imagine. I myself started playing this instrument when I was 57 and a half years old. Though I had no experience of playing real wind instruments like sax or clarinet, after a month I could enjoy some jam session with professional players. It is not too late to start EWI. Yes, this is the biigest advantage and attraction of EWI. you should buy and start EWI. 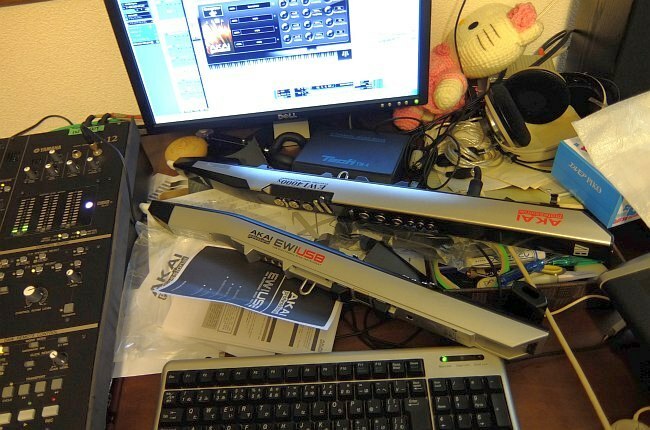 Many of active EWI players tend to think EWI is a kind of loud and ostentatious tools. But it is a shallow preoccupation. We can express the deep and delicate shade of melodies. I call this touch and style 'Digital Wabi-Sabi'. One of the sample tunes are auto-played in this web page. The tones like violin or violla are played with EWI. I hope you will find the captivation of this instrument. Each one of us has a unique ear for music. It means everyone places value in some different aspect. In my case the most important element is the melody. Melody is a language in itself and has its own value. I use digital instruments to translate the melodies in my mind into sounds. They are merely the means I use to make music. While I have made this album entirely for my own pleasure, it will give me much joy if I could share it with you. 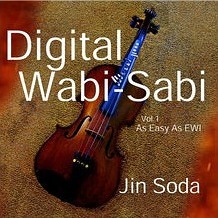 You should find the new world of modern music that shows the ambivalence of classical melody and digital possibility in this album 'Digital Wabi-Sabi'. Enjoy splendid melodies and 'wabi-sabi' improvisations of EWI that you've never experienced.